Jonas Nölle, Peeter Tinits and I are going to submit a workshop proposal to next year’s Annual Meeting of the Societas Linguistica Europaea (SLE), which will be held in Tallinn from August 29th to September 1st, 2018. 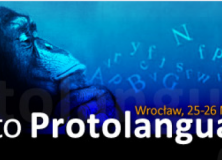 We thought this would be a nice opportunity to bring evolutionary linguistics to SLE – and a also a good opportunity to discuss novel and innovative approaches to language evolution in a condensed workshop setting. Step 1: You submit a 300-word abstract to us (the organizers: newdir.langev@gmail.com) by November 10th. We then select up to 12 papers that we include in our workshop proposal. As we want the “New directions” in our title to be more than a shallow phrase, we will base our selection as much as possible on the innovativeness of the abstracts we receive. If we’re unable to consider your paper for the workshop, there’s still the option to submit to the general session. Step 2: Our workshop proposal is then reviewed by the scientific committee, and we’ll receive a notification of acceptance or rejection by December 15th. Good news: If you’ve submitted an abstract, there’s nothing for you to do at this point except for keeping your fingers crossed. Step 3: If the workshop is accepted, we will ask you to submit a 500-word abstract via the conference submission system, which will be peer-reviewed like any general session paper. Notifications of acceptance or rejection can be expected in March 2018. We’re looking forward to your contributions, and regardless of the outcome of our proposal, we hope to see many of you in Tallinn! Research on language evolution is undoubtedly among the fastest-growing topics in linguistics. This is not a coincidence: While scholars have always been interested in the origins and evolution of language, it is only now that many questions can be addressed empirically drawing on a wealth of data and a multitude of methodological approaches developed in the different disciplines that try to find answers to what has been called “the hardest problem in science” (Christiansen & Kirby 2003). Importantly, any theory of how language may have emerged requires a solid understanding of how language and other communication systems work. As such, the questions in language evolution research are manifold and interface in multiple ways with key open questions in historical and theoretical linguistics: What exactly makes human language unique compared to animal communication systems? How do cognition, communication and transmission shape grammar? Which factors can explain linguistic diversity? How and why do languages change? To what extent is the structure of language(s) shaped by extra-linguistic, environmental factors? Over the last 20 years or so, evolutionary linguistics has set out to find answers to these and many more questions. As, e.g., Dediu & De Boer (2016) have noted, the field of language evolution research is currently coming of age, and it has developed a rich toolkit of widely-adopted methods both for comparative research, which investigates the commonalities and differences between human language and animal communication systems, and for studying the cumulative cultural evolution of sign systems in experimental settings, including both computational and behavioral approaches (see e.g. Tallerman & Gibson 2012; Fitch 2017). In addition, large-scale typological studies have gained importance in recent research on language evolution (e.g. Evans 2010). research that explicitly combines expertise from multiple different disciplines, e.g. typology and neurolinguistics (Bickel et al. 2015); genomics, archaeology, and linguistics (Pakendorf 2014, Theofanopoulou et al. 2017); comparative biology and philosophy of language (Moore 2016); and many more. If you are interested in participating in the workshop, please send an abstract (c. 300 words) to the organizers (newdir.langev@gmail.com) by November 10th. We will let you know by November 15th if your paper is eligible for the proposed workshop. If our workshop proposal is accepted, you will be required to submit an anonymous abstract of ca. 500 words via the SLE submission system by January 15th. If our proposal is not accepted or if we cannot accommodate your paper in the workshop, you can still submit your abstract as a general session paper. Bickel, Balthasar, Alena Witzlack-Makarevich, Kamal K. Choudhary, Matthias Schlesewsky & Ina Bornkessel-Schlesewsky. 2015. The Neurophysiology of Language Processing Shapes the Evolution of Grammar: Evidence from Case Marking. PLOS ONE 10(8). e0132819. Christiansen, Morten H. & Simon Kirby. 2003. Language Evolution: The Hardest Problem in Science. In Morten H. Christiansen & Simon Kirby (eds. ), Language Evolution, 1–15. (Oxford Studies in the Evolution of Language 3). Oxford: Oxford University Press. Culbertson, Jennifer & Simon Kirby. 2016. Simplicity and Specificity in Language: Domain-General Biases Have Domain-Specific Effects. Frontiers in Psychology 6. doi:10.3389/fpsyg.2015.01964. Dediu, Dan & Bart de Boer. 2016. Language evolution needs its own journal. Journal of Language Evolution 1(1). 1–6. Evans, Nicholas. 2010. Language diversity as a tool for understanding cultural evolution. In Peter J. Richerson & Morten H. Christiansen (eds. ), Cultural Evolution : Society, Technology, Language, and Religion, 233–268. Cambridge: MIT Press. Fitch, W. Tecumseh. 2017. Empirical approaches to the study of language evolution. Psychonomic Bulletin & Review 24(1). 3–33. Galantucci, Bruno & Simon Garrod. 2010. Experimental Semiotics: A new approach for studying the emergence and the evolution of human communication. Interaction Studies 11(1). 1–13. Harnad, Stevan. 1990. The symbol grounding problem. Physica D 42. 335–346. Kirby, Simon, Tom Griffiths & Kenny Smith. 2014. Iterated Learning and the Evolution of Language. Current Opinion in Neurobiology 28. 108–114. Kirby, Simon. 2017. Culture and biology in the origins of linguistic structure. Psychonomic Bulletin & Review 24(1). 118–137. Moore, Richard. 2016. Meaning and ostension in great ape gestural communication. Animal Cognition 19(1). 223–231. Pakendorf, Brigitte. 2014. Coevolution of languages and genes. Current Opinion in Genetics & Development 29. 39–44. Smith, Andrew D.M. 2014. Models of language evolution and change: Language evolution and change. Wiley Interdisciplinary Reviews: Cognitive Science 5(3). 281–293. Steels, Luc. 2011. Modeling the Cultural Evolution of Language. Physics of Life Reviews 8. 339–356. Tallerman, Maggie & Kathleen R. Gibson (eds.). 2012. 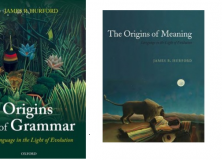 The Oxford Handbook of Language Evolution. Oxford: Oxford University Press. Theofanopoulou, Constantina, Simone Gastaldon, Thomas O’Rourke, Bridget D. Samuels, Angela Messner, Pedro Tiago Martins, Francesco Delogu, Saleh Alamri & Cedric Boeckx. 2017. Self-domestication in Homo sapiens: Insights from comparative genomics. PLOS ONE 12(10). e0185306. 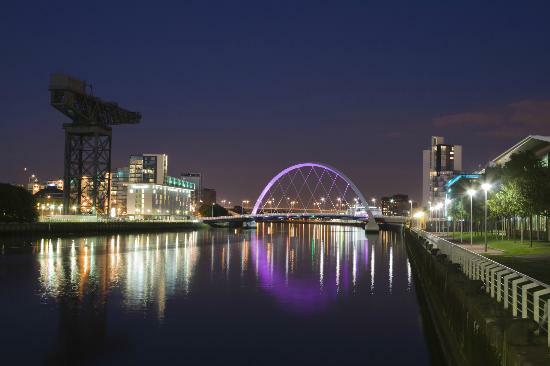 At this year’s International Congress of Phonetic Sciences in Glasgow there will be a special interest group on the Evolution of our phonetic capabilities. It will focus on the interaction between biological and cultural evolution and encourages work from different modalities too. The deadline is 16th Feb. The call for papers is here. There’s also a special discussant session on Sound change and speech evolution at ICPhS headed by Andy Wedel. The deadline for the actual conference is 1st Feb. Call for Papers here. The next event in the ways to (proto)language conference is being held in Rome! The deadline is also 1st Feb. Call for Papers here. This year’s CogSci is being organised by the guys at Cognitive and Information Sciences at the University of California in Merced, who do some great stuff related to language evolution. The deadline is 1st Feb as well, and the call for paper is here. In recent years, there has been a resurgence in research in the evolution of language and speech. New techniques in computational and mathematical modelling, experimental paradigms, brain and vocal tract imaging, corpus analysis and animal studies, as well as new archeological evidence, have allowed us to address questions relevant to the evolution of our phonetic capabilities. This workshop requests contributions from researchers which address the emergence of our phonetic capabilities. We are interested in empirical evidence from models and experiments which explore evolutionary pressures causing the emergence of our phonetic capabilities, both in biological and cultural evolution, and the consequences biological constraints will have on processes of cultural evolution and vice versa. Contributions are welcome to cover not only the evolution of our physical ability to produce structured signals in different modalities, but also cognitive or functional processes that have a bearing on the emergence of phonemic inventories. We are also interested in contributions which look at the interaction between the two areas mentioned above which are often dealt with separately in the field, that is the interaction between physical constraints imposed by a linguistic modality, and cognitive constraints born from learning biases and functional factors, and the consequences this interaction will have on emerging linguistic systems and inventories. Contributions must fit the same submission requirements on the main ICPhS 2015 call for papers page. The deadline is obviously quite far away, but feel free to use the same email address above to ask any questions about suitability of possible submissions or anything else. Every year postgraduate linguists at the University of Edinburgh get together and run a conference. The deadline for submissions is fast approaching (15th April, 2014), but it’s only 500 words, so I’m sure you’ll be able to cobble something together. For more information, visit the website: http://resource.ppls.ed.ac.uk/lelpgc/ . The University of Edinburgh Linguistics and English Language Postgraduate Conference in is an annual event where postgraduates present ongoing work and discuss their research with their peers and the LEL faculty. This year’s conference will be held on 28th-30th May 2014. We will be celebrating the 20th year of the conference, and we would like to invite all students of Linguistics, English Language and related disciplines to join us for this special occasion. The conference offers a great opportunity to refine thoughts, share concerns and receive constructive criticism in a supportive and convivial environment. Additionally, it’s a great way to gain experience in conference presentation and find out about some of the exciting things going on in LEL! We are now accepting submissions for oral presentations and posters. The standard length of a talk will be 20 minutes, followed by 10 minutes of questions. Any papers relevant to Linguistics and English Language are welcome and submissions by both University of Edinburgh and external students are highly encouraged. Tea and coffee will be provided on all three days, and there will also be a conference dinner in the evening of the 28th May (details to follow). To apply, please submit an abstract (maximum 500 words in .doc, .docx, .tex or .rtf format; bibliographies do not count toward the word limit) by email to lel-pgc@ed.ac.uk, no later than 23:55 on 15th April 2014. Please indicate whether you would prefer to be considered for a talk or a poster. The First International Association for Cognitive Semiotics (IACS) Conference (IACS-2014) will be held in September 25-27, at Lund University, Sweden. Founded in Aarhus, Denmark, on May 29, 2013, The International Association for Cognitive Semiotics aims at the further establishment of Cognitive Semiotics as the trans-disciplinary study of meaning, combining concepts, theories and methods from the humanities and the social and natural sciences. Central topics are the evolution, development of, and interaction between different semiotic resources such as language, gestures and pictorial representations. Over the past two decades or so, a number of researchers from semiotics, linguistics, cognitive science and related fields, from several European and North American research centres, have experienced the needs to combine theoretical knowledge and methodological expertise in order to be able to tackle challenging questions concerning the nature of meaning, the role of consciousness, the unique cognitive features of mankind, the interaction of nature and nurture in development, and the interplay of biological and cultural evolution in phylogeny. The product of these collaborations has been the emergence of the field of Cognitive Semiotics, with its own journal (http://www.degruyter.com/view/j/cogsem) and academic association. The conference aims both to celebrate this, and to look forward into possibilities for further development. Individual abstracts should be submitted at the site of the conference. Note: you need to register first, by clicking on Registration Page to the left, and then follow the instructions. 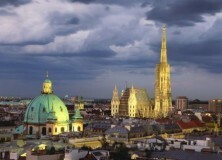 The 10th International Conference on the Evolution of Language will take place in the beautiful capital of Austria, Vienna, from April 14th to April 17th 2014. The Call for Papers can be found here (Deadline for paper & poster submission is September 1, deadline for workshop proposals April , 2013). 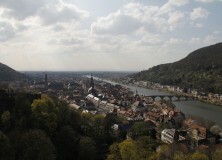 The 3rd Linguistic Conference for Doctoral Students will take place at Heidelberg University, Germany from 05.-06. April 2013. The overarching topic of the conference will be: “Interdisciplinary Perspectives on Language, Discourse, and Culture.” The deadline for submissions is 15 February. Limiting female participation: will it increase female participation? 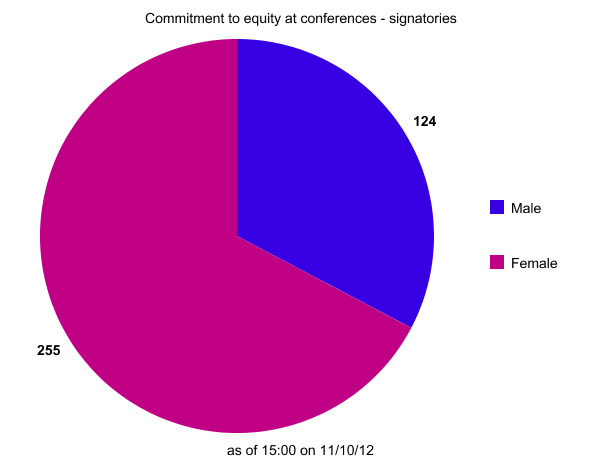 Following some great work over at FeministPhilosophers to raise awareness of the prevalence of all-male conference events in Philosophy, an interdisciplinary action for gender equity at scholarly conferences has been doing the rounds over the last four days. It was proposed by Dan Sperber and Virginia Valian, who have also compiled an accompanying Q & A that is very informative indeed, especially for those who may not have thought about such issues before. The sentiment of this action is certainly commendable and it’s heartening to see this conversation being opened in the research community. In the spirit of continuing this conversation, I have made critical comments elsewhere that I’m more or less cross-posting here. Commitment to gender equity at scholarly conferencesAcross the disciplines, disproportionately more men than women participate in scholarly conferences – as keynote or plenary speakers, as symposiasts, or as panelists. This, we believe, is the outcome of widespread and generally unintended bias. It is unfair, it hinders advancement in scholarship, and it is especially discouraging to junior scholars. Overcoming such bias involves not just awareness but positive action. We therefore undertake to make our participation in conferences – whether as an organizer, sponsor, or invited speaker – conditional on the invitation of women and men speakers in a fair and balanced manner. So, we can understand this action as a distributed boycott of conferences that individuals believe have been unfair in their approach to inviting female speakers. There is a guideline in the accompanying Q & A on how signees can establish whether a conference has been organised fairly, which outlines various considerations you can make as an attendee and also as an organiser. The problem is that there is little to compel anyone signing this to actually make good on conditional conference participation, particularly since the bias is (as noted in the Q & A) unintended and unconscious even among those who personally endeavour to act against it. The consequences of public accountability are at best unclear, unless those signing up are also committing themselves to monitor the conduct of their fellow signatories. The fact that people generally have these sentiments before they’ve signed the commitment, and that simply holding this sentiment doesn’t seem to have made any difference to how conferences are organised, ought to make us pause. This may seem a little unfair of me, but at least part of my cynicism is based on the fact that female representation in political parties and government positions is notoriously difficult to improve with non-binding good intentions alone. At Edinburgh University’s inaugural Chrystal Macmillan lecture last year Prof Pippa Norris showed that even voluntarily enacting quotas for a minimum number of female representatives was not enough to improve equity in political parties and make sure that they actually do anything. The only measure that proves effective is an additional penalty of non-registration for those parties that do not meet requirements. This is the case worldwide. Related to the problems inherent in grassroots strategies of action, I also find myself wondering how it could benefit female scholars (individually but also at large), to make such a commitment. Surely the point here is that their representation is already under par. This is an especially important concern when we ask ourselves who is more likely to actually participate in such an action; despite the fact that this commitment is intended for everyone, I suspected that the one area where women might be overrepresented is on the signature list. As of today, this is certainly true (see pie chart, right; updated chart here). It is worth pausing to consider exactly why this is problematic. It is not only that there exist fewer opportunities for high-profile female academics to speak than there should be – though that is an important issue. A more pervasive reason why fewer female speakers is a problem is that the resultant academic environment is hostile to other female academics – particularly junior attendees who, realistically, do not have as much luxury in limiting their participation. 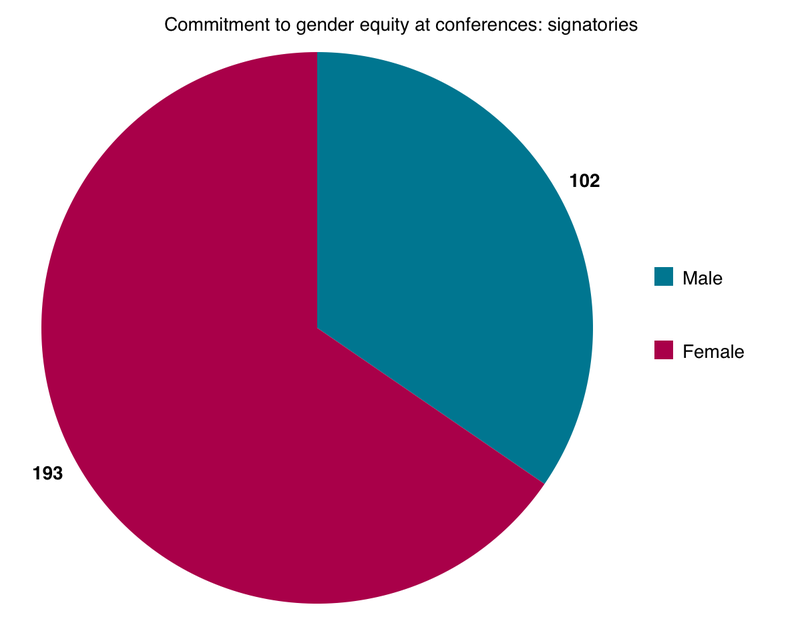 For female academics to consign themselves to only “fair” conferences seems to then work somewhat against the intended positive action, since even fewer women end up being represented than there currently are. Female junior attendance, I would bet, will largely remain the same since they cannot professionally afford to restrict themselves. The result is that they are attending conferences with even less female representation than there would have otherwise been, and encountering a more hostile and male-dominated environment. A further point of concern is that, as is fairly typical of feminist campaigns, there seems to be bit of a trend for the loss of interest from male academics over a relatively short space of time (see table, left). Is it reasonable, then, to expect that a majority-female abstention will ignite structural change to remedy this situation? I am inclined to believe that it isn’t. The idea that women should opt out of speaking at conferences in order to pressure them into organisational change is questionable precisely because their contribution is already valued less than that of their male counterparts. Given this bias, withheld participation by women may have much less impact on conferences than desired, particularly at those events which are often currently all-male anyway. If we still want to claim that a boycott is a desirable means of effecting change in this instance (and I’m not entirely convinced that it is), I’d venture that it would be significantly more effective if it comprised a male majority. An additional improvement would be to compile a list of conferences with a poor track record for a focused boycott that people could commit to, rather than relying on their subjective assessment. This would be an improvement not least because leaving the onus on the individual to decide how to behave under the obligation of this commitment (combined with the lack of a concrete goal/measure of success) makes the chances of material change rather slim indeed. 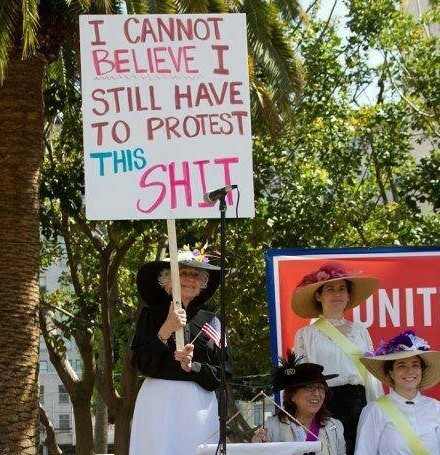 Given what we already know about women’s political representation, I believe a more effective goal is to implement change at an explicitly organisational level. As an example off the top of my head, petitioning for a requirement that established conferences declare their level of complicity with a set of fairness provisions might be more promising. This allows others to judge fairness more transparently (and less subjectively) while simultaneously giving high visibility to this issue as a matter of course. This kind of approach strikes me as somewhat more hopeful in making fair representation a standard consideration of conference organisers, both now and in the future. One barrier to this is that there isn’t, to my knowledge, a central body for the registration of academic conferences or an ombudsman-type overseer that could enforce such a requirement. Given that the academy has proven itself unable to make equity provisions, perhaps one should be instated. At any rate, this is still by no means enough; if we can learn anything from the political sphere it’s that there has to be a material downside to non-compliance beyond disapproval (or lack of votes) from the constituency. That this conversation has been opened and circulated around the interdisciplinary research community is a very positive step in the right direction. Further thinking on how we can make material changes to structural inequity is both crucial and timely; any and all discussion on this is a Good Thing. I know I’m not alone in hoping that signing this commitment is not the beginning and end of the research community’s action toward gender equity. Author RachaelPosted on 4 October, 2012 11 October, 2012 Categories Academia, Conference, Politics, Science3 Comments on Limiting female participation: will it increase female participation? (1) There was a single biological mutation which (2) created a new unique cognitive domain, which then (3) immediately enabled the “unlimited command of complex structures via the computational operation of merge. (4) This domain is used primarily for advanced private thought and only derivatively for public communication. (5) It was not promoted by natural selection. (1) There were many cumulative mutations which (2) allowed the expanding interactions of pre-existing cognitive domains creating a new domain, which however is not characterized by principles unique to language. This then (3) gradually enabled the command of successively more complex structures. Also, on this view, this capacity was used primarily for public communication, and only derivatively for advanced private thought and was (5) promoted by natural selection. Hurford criticized the position that the biological changes enabling languages primarily evolved for private thought, because this would imply that the first species in the Homo lineage that developed the capacity for unlimited combinatorial private thought (i.e. “merge”) were non-social and isolated clever hominids. This, as Hurford rightly points out, is quite unrealistic given everything we know about human evolution regarding, for example, competition, group size, neocortex side and tactical deception. There is in fact very strong evidence that what characterizes humans the most is the exact opposite as would be predicted by the “Merge developed in the service of enhancing private thought” position: We have the largest group size of any primate, the largest neocortex (which has been linked to the affordances of navigating a complex social world) and have the most pronounced capacity for tactical deception.